Ocean Recovery Centre offers assisted alcohol rehab and alcohol detox services in Lancashire. We also offer treatment throughout the United Kingdom through our parent company, Step One Recovery. Undergoing an alcohol detox is the first step towards getting into recovery. Below, we answer many of the questions you may have regarding both alcohol detox and alcohol rehabilitation. We then provide contact details so you may get in touch and discover how we may help you. Can an Alcohol Detox Kill You? If you suffer from alcoholism, your brain chemistry is altered by the volume of alcohol you have consumed over the course of the years. When alcohol consumption is abruptly discontinued, you will begin to suffer from a range of alcohol-withdrawal symptoms. This is because chemicals in the brain begin to readjust. However, this readjustment in brain chemistry causes a range of withdrawal symptoms. These symptoms range in severity from discomforting to potentially life-threatening. At Ocean Recovery Centre, when you begin your inclient alcohol detox, you will be given medications that allow you to detox without risking potentially lethal withdrawal symptoms. We also supply you with healthy meals and a range of vitamins and other supplements that also act to ease alcohol withdrawal symptoms. When is Alcohol Detox Necessary? An alcohol detox programme is necessary when you begin to suffer from alcoholism. You will know an alcohol detox is necessary because you will begin to suffer from cravings and withdrawal symptoms when you stop drinking alcohol. These symptoms require medical assistance. If medical assistance is not sought, you could expose yourself to medical complications such as a seizure or cardiac arrest. What Happens During an Alcohol Detox? An alcohol detox allows you to stop drinking alcohol in a medically controlled manner. An alcohol detox begins as soon as you arrive at a rehab clinic. Before your detox begins, you will be assessed by a psychiatrist. You will then be assigned to a therapist and key worker. These professionals will assist you throughout the programme. During the initial assessment, a psychiatrist will ask you questions about your alcoholism. During this assessment, the psychiatrist will gather all relevant information about your health and any past alcoholism treatments you may have undergone. It is vital to answer these questions correctly and thoroughly. The information you provide will help the psychiatrist in developing your individual detox and rehab plan. The psychiatrist will also carry out a complete physical and mental examination with you. This will help to unearth any conditions that must be treated during your recovery programme. You will then be prescribed with suitable medication to help fight off alcohol withdrawal symptoms inevitably arising during the alcohol detox process. Following the completion of this initial assessment, you will be shown around the rehab clinic and you will be taken to your room. You will then meet with your assigned therapist and key worker. These professionals will explain what happens during your detox and rehab programme. During an alcohol detox programme, a lot of emphases is placed on nutrition. When you abuse alcohol, you also tend to eat all the wrong foods. It’s also likely that you haven’t eaten enough food, so you could be experiencing malnutrition. To help treat malnutrition during your alcohol detox programme, lots of quality food will be offered. You do not have to cook and prepare this food yourself because the detox clinic employs qualified chefs to ensure you are eating correctly. Meal plans are designed by a qualified dietician. A typical alcohol detox programme is run over a 7-10 day period. During this time, alcohol withdrawal symptoms will be closely monitored and treated. You will be given drugs such as Librium, disulfiram and naltrexone to help control cravings and to treat alcohol withdrawal symptoms. Medications to help reduce alcohol withdrawal symptoms are not the sole form of treatment you receive during an alcohol detox programme. You will also benefit from a range of therapies. These therapies are offered whilst you undergo an alcohol detox programme. There exist many different ways to reduce alcohol detox symptoms. By far the best way to treat these symptoms with a drug known as Librium. Librium is a benzodiazepine. Librium allows you to undergo an alcohol detox by slowly allowing chemicals in your brain to readjust without the sudden ‘jolt’ that would otherwise occur when alcohol consumption is abruptly stopped. Librium does not utterly prevent alcohol withdrawal symptoms, but it does vastly reduce these symptoms, particularly the more dangerous symptoms such as DTs. We also prescribe secondary medications that help to reduce alcohol cravings. You will be prescribed Librium and other medications over the course of a 10-day alcohol detox. These medications will be gradually reduced over this period. There is no ‘official’ duration for an alcohol detox programme. The length of your detox programme must reflect the severity of your addiction to alcohol and the amount of treatment you will likely require during this period. Many detox programmes are run over a 10 day period. However, an alcohol detox is usually incorporated into a longer alcohol rehab programme. An alcohol rehab programme is most effective when running over a 28 day period. Some will opt to undergo a 7-day alcohol detox. This is perhaps the shortest amount of time in which an alcohol detox may be completed. We generally discourage those considering a 7-day detox, merely because experience has taught us that 7 days simply is not enough time to complete an alcohol detox safely. A hangover is caused when you consume too much alcohol. Researchers believe a hangover is due to a toxin that’s produced in the liver known as acetaldehyde. In contrast, alcohol withdrawal is caused when sufferers of alcoholism consume too little alcohol. A hangover affects everyone who drinks too much alcohol. Alcohol withdrawal symptoms will only affect those who suffer from alcoholism. What to Eat When Doing an Alcohol Detox? When you undergo an alcohol detox, eating healthy foods is a vital ally in the fight against alcohol withdrawal symptoms. When you attend Ocean Recovery Centre, good nutrition will play a vital part in your early recovery efforts. Certain foods are thought to possess properties that help to reduce alcohol withdrawal symptoms. These foods include fruits and vegetables, whole grains, foods high in vitamin B, and foods rich in protein. The food you eat during your alcohol detox programme will mostly consist of these food types. Many alcohol detox clinics allow you to pay for your treatment through a valid health insurance policy. Ocean Recovery Centre is no exception in this regard. To claim through your insurer, you must download a claim form from your insurer’s website. You then send our admission’s team this claim form so that our physician may complete this claim form on your behalf. We then send the completed claim form to your insurer for processing. Your insurer’s claim handlers will then review your application and then decide to grant, conditionally grant or reject your claim for rehab funding. If you claim is reject, our admissions team will then discuss other funding options that may be available to you. This may include self-funding and advice on paying through a payment plan. When you enquire about going to an alcohol detox clinic, you will quickly discover the existence of inclient and outclient options. Whilst the distinction between the two may sound obvious, the benefits and drawbacks of each are often less apparent. Inclient treatment involves greater expense than outclient treatment. However, this cost is well spent given that inclient treatment is far more intensive than outclient treatment. 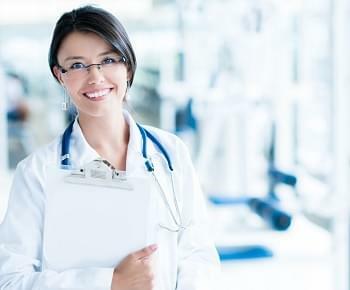 When you attend an inclient clinic, you will benefit from 24-hour care. This is vital given that an alcohol detox is a sufficiently dangerous procedure to warrant the need for 24-hour medical care. When you attend an inclient clinic, you will focus on your recovery 24-hours a day. This means inclient rehab is intensive and thus highly effective. Because you are removed from your home, you will also be removed from the stresses of daily life. This allows you to invest your energy solely on your recovery. During your time at an inclient clinic, you will take part in group therapy, individual therapy and complementary therapies throughout the day. Inclient treatment is particularly advantageous for those of you who also suffer from dually diagnosed mental health problems such as anxiety and depression. Outclient treatment allows you to receive therapy and treatments during the day. However, you return to your home following the completion of daily sessions. The key advantage of outclient treatment is that your professional and family life are unimpeded. Outclient treatment is particularly beneficial for those of you who suffer from mild alcoholism. If you choose to attend an outclient clinic, you would be well advised to attend an intensive outclient programme where therapies and treatments run over an entire day, and not for just one or two hours a day. Alcoholism amongst senior citizens is at an all-time high. Alcoholism is a particularly dangerous condition for elderly people. This includes the risk of falling over, memory blackouts and an increased risk of driving whilst under the influence of alcohol. If you suspect your elderly relative is suffering from alcoholism, you may be well advised to be on the lookout for the classic symptoms of alcoholism amongst the elderly. These symptoms include: drinking alcohol at all hours of the day, hiding alcohol away from loved ones, using alcohol as a form of medication and drinking in isolation from others. At Ocean Recovery Centre, we offer specialist rehab for the elderly. The elderly typically require enhanced care needs when undergoing an alcohol detox programme. We employ specially trained staff members who are able to cope with the advanced care needs of elderly clients in need of an alcohol detox programme. Our building is also modified. This allows us to carer to the care needs of elderly clients who struggle with mobility. What Is A Home Alcohol Detox Treatment? You may be able to undergo an alcohol detox programme from the comfort of your own home. You will generally visit your GP before your home detox begins. Many years ago, undergoing a home detox was common. However, in recent years many GPs are now refusing to prescribe medications that are necessary when you undergo a home detox programme. This reluctance is because GPs rightly consider a home detox as a risky venture to embark upon. For reasons outlined above, the superior option is to undergo a detox at an inclient clinic. When you undergo a detox from your own home, there are simply too many errors you could make when taking medication. This could mean you begin to suffer from advanced withdrawal symptoms such as DTs. This could result in your death. For this reason, we do not recommend you consider undergoing a home detox.